Is it a bird? Is it a plane? No it's the Mystery Flying UFO! Make it hover, rise and fall, without the use of batteries. 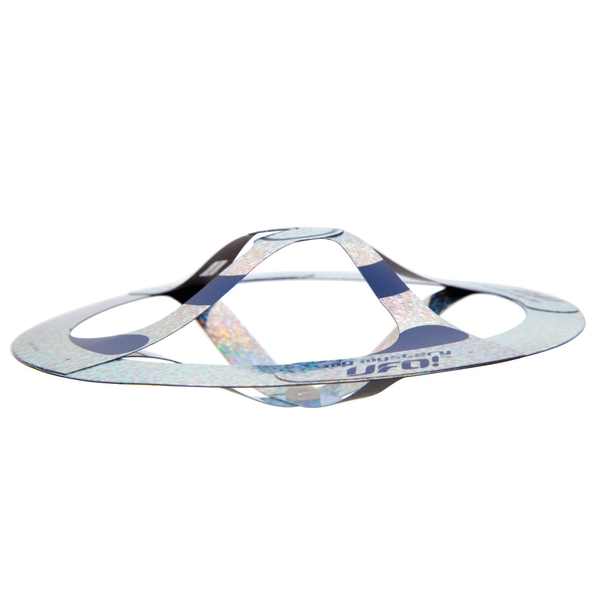 Amaze your friends and family as you make the My Mystery UFO fly around you without using any electricity or powered assistance! The accompanying DVD shows you how to fly the UFO, so that you can challenge your friends and family to guess how it works. EU Warning: Not suitable for children under 3 years due to small parts and small ball which may represent a choking hazard. Monofilament thread may represent a strangulation hazard. Adult supervision required.